My classmates and I had already made our Nutcracker debut – as clowns naturally – but now we were ready to take on a more sophisticated role as children in Act 1’s party scene. I looked forward to a fancy dress with pantaloons underneath and ribbons in my hair. Our teacher had us line up by height. And then we counted off: 1, 2, 1, 2, 1, 2. We divided into groups. 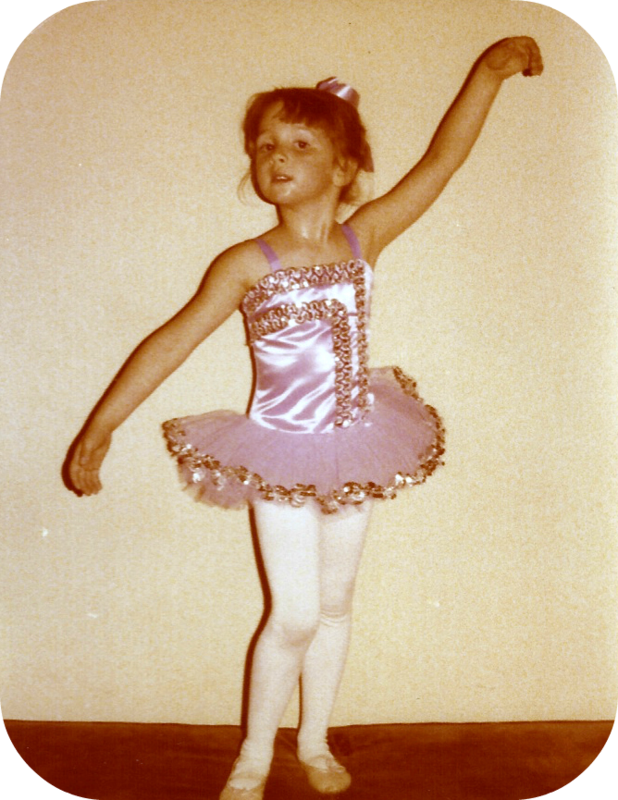 1s would be girls in the first act of our ballet school’s production of The Nutcracker. 2s would be boys. I was a 2. And I burst into tears, making a huge scene. If I recall correctly, the teacher called my mother that night or the next day. She explained that while she’d had no intention of making me a boy, because I made such a big deal of it, there was no way she could make the swap now. Is anyone surprised that there are no pictures of me dressed for that year’s performance? If so, you must be new here. Costume fittings were pure torture for me, watching the girls who got to stay girls trying on layered, flouncy dresses. Instead of ribbons wound through hair curled into ringlets, I would a severe bun (which, I’m sure, did little to make me look like a boy, but that’s what we were told to do). My mother’s sweet concession to me playing the part of a boy? She had a tunic custom-made for me. In dusty rose velvet, naturally. It was a hard lesson to learn at a young age, but I learned that it’s a lot easier for people to bail you [and your fragile ego] out of a [mildly unpleasant] situation if you keep your trap shut. This entry was posted in Life stories and tagged ballet, childhood, dance, lessons learned, Nutcracker on October 18, 2015 by onechicklette. You speak the truth. Trouble is, we just don’t get it as kids.